Detroit Electric‘s roots date back to the early 1900’s, but today many of us probably do not recognize the name. Well, that’s all about to change – as the company just unveiled plans to launch the world’s fastest pure-electric production sports car! The SP:01 is set to hit the market this fall, and three additional models are planned for 2014. The Detroit Electric SP:01 is a limited-edition, two-seat pure-electric sports car that sets new standards for performance and handling in the electric vehicle segment. It’s capable of reaching speeds up to 155 mph and 0-62 mph in a very fast 3.7 seconds. 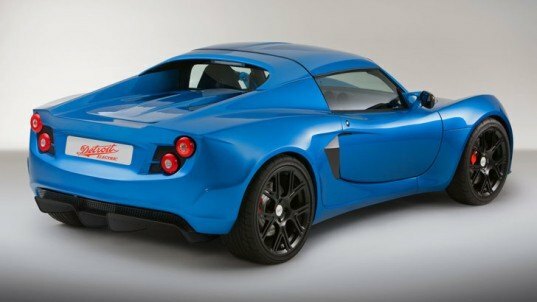 The rear-wheel-drive SP:01 is powered by a 201-hp electric motor and a lightweight, battery pack. The SP:01’s weight is kept in check thanks to its carbon-fiber bodywork. Total weight is just 2,354 lb. The SP:01 has a range of almost 190 miles between charges and can be recharged in about four hours. In addition to setting new standards in the electric vehicle segment, the SP:01 is also a mobile charging unit, allowing the user to use its stored battery energy to power not just the car but even an entire home. The SP:01‟s bi-directional charge and discharge feature is made possible through the Detroit Electric home charging and power back-up unit, named “360 Powerback.‟ It is a smart home-charging and power back-up unit. This smart unit can also detect any power failure of the grid and provide the option to the user to instruct the vehicle to restore power to the home using its stored energy. The SP:01 will go on sale in August, starting at $135,000 and only 999 units will be produced. 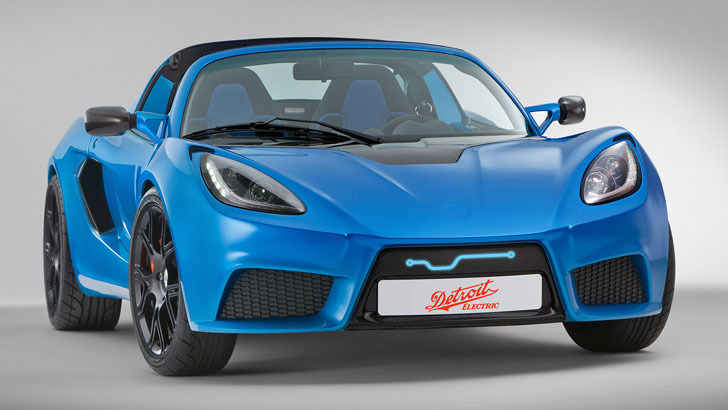 Detroit Electric plans to introduce two other high-performance electric vehicles by the end of 2014. Looks very similar to the Tesla roadster, Detroit is a few years behind the game! "World's Fastest Pure-Electric Production Car"? It's a little early to tell, but we'll see. Detroit Electric's roots date back to the early 1900's, but today many of us probably do not recognize the name. Well, that's all about to change - as the company just unveiled plans to launch the world's fastest pure-electric production sports car! The SP:01 is set to hit the market this fall, and three additional models are planned for 2014.